Question: Why aren't my orchids flowering? Why are some of my orchids dying ? Graham Larkin, President of Hawkesbury Orchid Society in 2011, gave a most comprehensive answer to the above question in his presentation to our club. 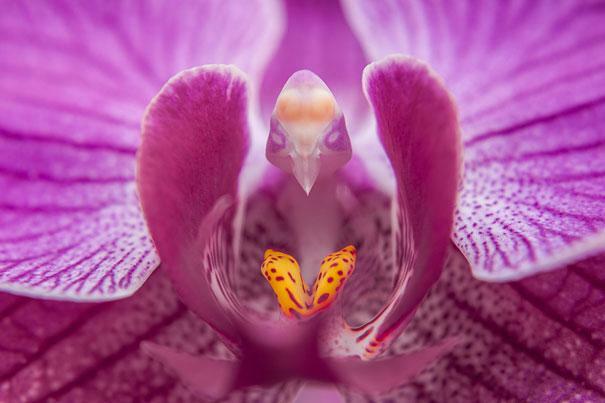 "Orchids are like all other plants! Epiphytes: are those orchids that do not grow in the ground but upon another plant. It is not a parasite, but obtains its moisture and nutrients from the air. Examples are the Cattleya and Oncidium alliance. Lithophytes: are those orchids that grow on a rock. 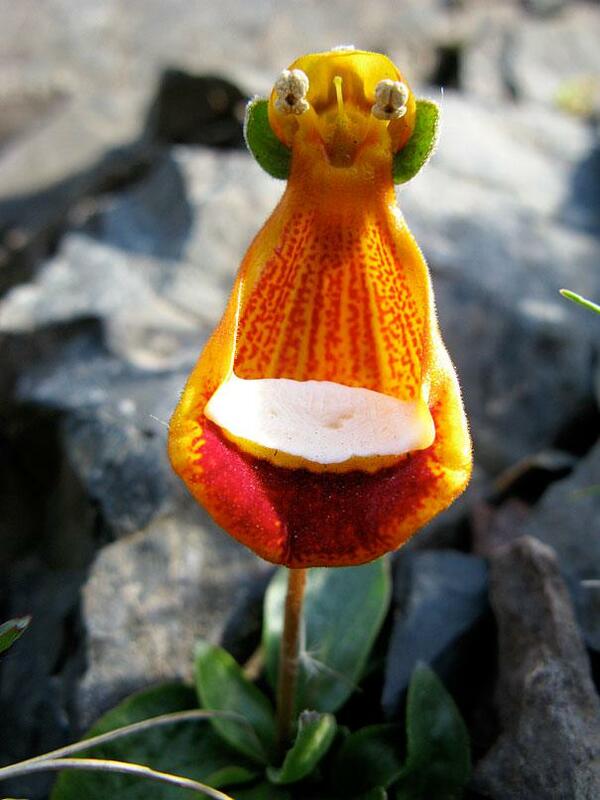 Examples are the rock orchids Speciosum and Sarcochilus hartmanii. 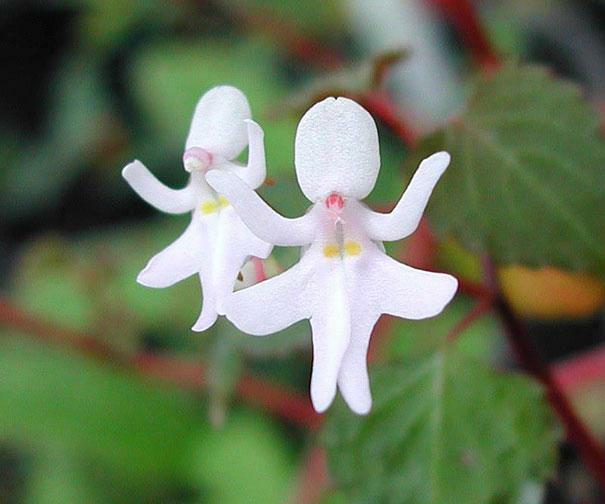 Terrestrials: are those orchids that grow in the ground orchids. A lot of our orchids are ground orchids. So knowing the background knowledge of your orchids helps you to understand the growing and caring for a particular plant. This background knowledge of a plant helps you understand its needs and fertiliser, water and proper mix. There are people who grow orchids for years without any care to their plants and they seem to flower every year. Then one year they (owners) wonder why the plant hasn’t flowered. 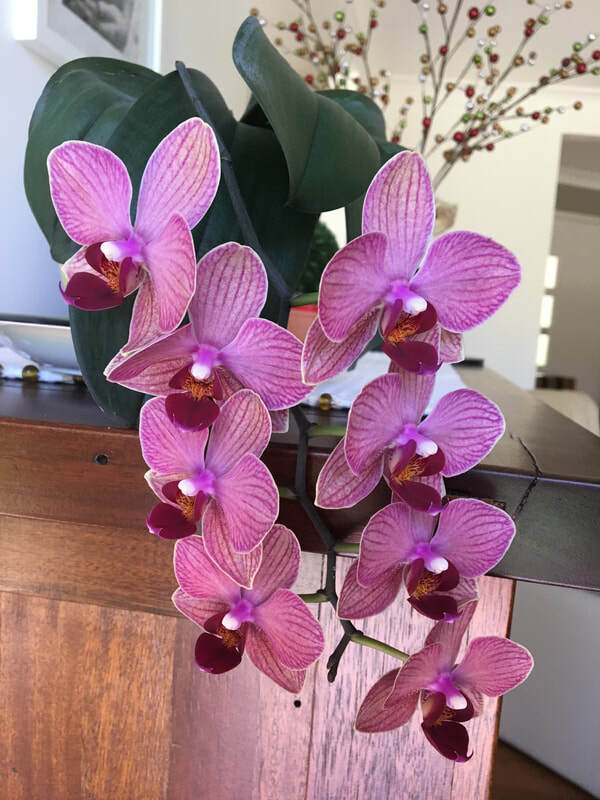 This background check is important because if we don’t have an understanding from where the orchids are happily grown in their natural environment, we are simply bringing home orchids that will struggle to grow and may indeed die. Thoughts upon why orchids don’t flower? You like orchids, and have seen some nice coloured orchids at a shopping centre and decided to buy them. You bring them home and proudly display them for all to see. You look over the neighbour’s fence and see that they don’t look after their garden and yet have orchids flowering every year and the one I buy at the Shopping Centre dies at my place. Why? Well let’s see if we can help you. The why has many possibilities? 1. The place you purchased the orchid from. We have already explored the shopping centre orchids and where they came from. 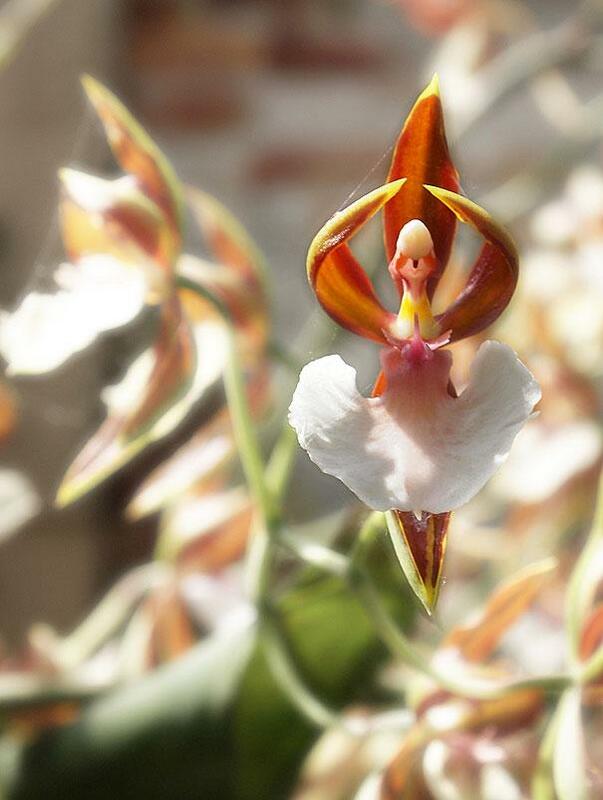 The orchid supplier in these instances has grown their orchids with one (only) thing on their mind. To get the flower to the Market. We have explored the proper place to buy your orchids from the Orchid Nursery or Orchid Shows. 2. The next most obvious reason why your orchid hasn’t flower, is that the plant is not ready to flower in your environment. Most orchids like to establish at least three or four good growths before they flower. 3. The next reason is the location of your orchid. Most orchids like plenty of light that is good light, in past experiences, the more light, the better possibilities for good flowering. I am not suggesting out in full sun, in the contrary. I am suggesting strong lighted area with protection from direct sun. This is where you look around your yards for a place that provides good light, without direct sun that may burn the plant. When I first started to grow orchids I brought a few books on how to grow and care for them. It soon became clear as mud different growers had different ideas on the subject of fertilising them. To confuse you even more I still don’t understand fully what type I should use or advice growers to use. But I have come to some understanding about the role of fertilising orchids. What do we fertilise a plant captured from the wild (epiphyte-tree dweller) and expect it to grow in a pot filled bark and other potting mediums? Do we fertilise with a fertiliser with high nitrogen upon plants grown in bark? Do we fertilise plants grown in cymbidium type medium with a balanced diet? Do we use a fertiliser high in phosphorous to promote flowering and roots growth? All fertilisers contain principle ingredients such as Nitrogen, Phosphorous, and Potassium, which are symbolled by N-P-K. The percentage of these elements in the order of N-P-K is shown for example on Hortico AquasolTM N23%-P4%-K18% and Manutec ‘Orchid Bloom Booster’TM N15%- P6.7%-25.3%. Nitrogen is an essential element for the chlorophyllous function that is for the leave to convert light and nutrients into carbohydrates. 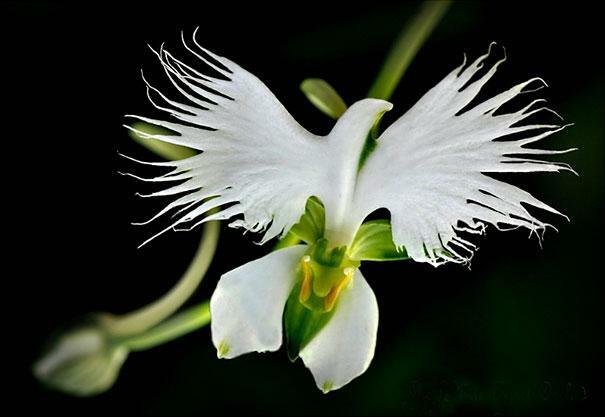 Therefore, Nitrogen is essential for the orchid to grow. Also, too much nitrogen can cause the orchid to continue concentrating on the growth pattern and forgetting about the flowering process. On the other hand too little may cause the orchid stunts its growth. Phosphorous has been described as the essential ingredient necessary to formulate the cells, it promotes root growth within the orchid and it induces and influences the flowering. Potassium is another essential ingredient for healthy growth. Give increased vigour to the plant and assist in the process of transferring the starches, sugars and oils in the plant system. So are we any better advised, or should we just feed our orchids the same fertiliser all year round? Well I don’t know about you, but I wouldn’t like to eat the same food everyday of the year. Even for the orchids we must also take into consideration the length of daylight, the temperature. The answer seems that we should vary the fertiliser and consider the daylight temperature. You should consider fertilising on a weekly or fortnightly basis in the spring to autumn, and you should consider less often to once a month during the winter. Also avoid fertilising during daytime temperatures under 10 degrees in the winter and over 30 degrees in the summer. Snail and Slugs: Snail and slugs can usually be controlled by the regularly sprinkling around Snail/Slug pellets. Is it time to repot? A very good grower not far from here was asked this very question. He said, “10 days after the shortest day of the year” he was therefore saying 10 days after the 22nd June, around 2nd July is OK” this OK providing the plant isn’t in spike. To spiking plants, I would say after they have flowered. I have been told that the disturbance of an orchid takes about two weeks to recover. How do I know when to repot? The usual rule for dividing orchids up is when the plant can no longer grow in the pot. How do I repot my orchids? When dividing, I usually try to separate the plant into divisions of a minimum of three to four pseudobulbs in each piece. If the plant does not have enough bulbs to divide into 3 or 4 pieces, then reconsider potting the plant into a larger pot. What tools/aids will I need? To avoid the possibility of disease the plant we must have a clean utensil and if possible, flamed knife to be absolutely sure. Or at least the cutting instrument is dipped into a strong antiseptic solution. I use Sugar/Soap solution. In addition, you will need a product called Steriprune TM to seal all the freshly cut plants. You may need a pair of gloves and depending upon what medium you are using, you may need to use a face mask. What type of potting medium should I use? I have found that different types of orchids prefer different types of medium. And there are those you have found work best for you. But for a guide I have grouped some of the more common ones into groups. I have found that by using a 50/50 combination of Composted Bark and Brunnings TM Garden Mulch Coir Mix the plants have been happier. The coir fills up with water and this makes the moisture more available to the plants. Also when the Coir fibre is full of water, it does not hold excessive water. I have recently read an article using coffee grounds in the potting mixture. According to the article coffee grounds not only enriched the potting mixture. 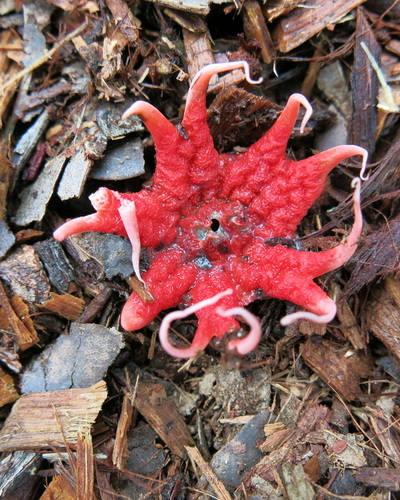 It was found to act as an herbicide against scale and mealy bugs. The article further claims that coffee grounds produced an alkaloids that warded off insect predators and when the leaves drop on the ground that (coffee grounds) acts as an emergent herbicide. The good news is that most coffee shops throw out the coffee grounds as waste (Gloria Jeans and Donut King TM for an example). The article recommends the use of 10% of coffee grounds to the potting mix. Now that the plant has been divided, the next thing is to clean up the pieces of old dead leaves, trim off the dead roots and even good roots can be trimmed a little. Never think of using the old potting mixture in the repotting process. The correct size of the pot to be used is essential to particular orchid plants. Examples are those I have put out to have a look at. To repot, place the orchid with the newly cut to the rear/back of the pot. This allows the plant to move forward in the new potting mixture. By holding the plant steady with one hand and fill the pot around the root with the other hand. All plants should be potted very firmly. The potting mixture should be filled up to the top of rhizome or with the cymbidium up to a third of the bulb. Some newly repotted plants will be a bit wobbly. Stabilise with a stake and ties. The last thing is to write a new label for the plants. Cymbidiums being the most popular orchid plant, I thought we would start with it. 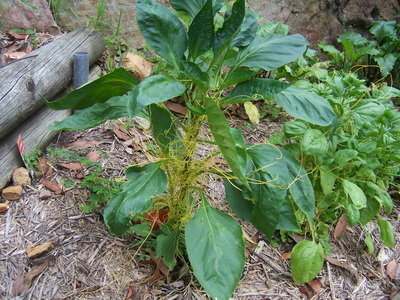 It is suggested in most written notes that the plant should be divided in July, August or early September, providing the plant is not in spike. In that situation and with all other orchids, the divisions should be done after flowering. The indication that the plant needs to be repotted is when the pot is full of old back bulbs – more bulbs than new growths. The plants will tend to show you which way it is to be divided by the way it has spread out. Remove as many of the old back bulbs as possible ensuring that there is enough clumps of at least four growths, this may include some back bulbs. After the flowering the back bulbs serve as a storage place for plant food. So with repotting into new potting mixture, we don’t needs as many back bulbs in the new pot. The next thing to do is to remove the plant out of the old pot. Now that the plant is out of the old pot, trim off the old roots, and trim up long roots ensuring enough roots to be potted up. Always clean cutting instruments, using a sterilising agent. I use a “Sugar Soap” concentrate diluted in water. Repot the clumps into the new pots with the new recognised cymbidium potting mixture and re-label the plant. A good idea is to drench the plant to flush out any dust material at the same time observing the drainage system. The indications that the plant needs to be repotted are when the plant has grown off the pot in different directions. Divide the plant into a plant with four growths which may include the new shoots. Again trim off dead roots and trim up long roots. When repotting, place the end of the plants that has been cut against the rear of the pot allowing the new growth to run across the potting mixture. With older plants I use a larger treated bark 10 15 mm and for small plants; I use 5 – 10mm bark. Cattleyas can be divided anytime afterthe flowering, but not in the extreme cold temperatures of the winter. Oncidiums can be divided up into at least two bulbs, providing the bulbs are fat and healthy looking. Oncidiums can be repotted into a number of potting mediums. I use the word mediums rather than the word potting mixture. Oncidiums can be repotted into a pot with sphagnum moss, bark or onto tree fern, a slab of bark, board or cork. There are two types to consider “hard” and “soft” canes. Both seem to prefer to be repotted into small bark. Yet, I know of growers who use only cow or horse manure. The “soft” cane orchids also have the tendency to produce kiekie. These should be allowed to establish roots to at least (4in) before they are removed from the parent plant. These kiekie should be potted into a small bark. Again, the indications for repotting seem to be when the plant has outgrown the pot. 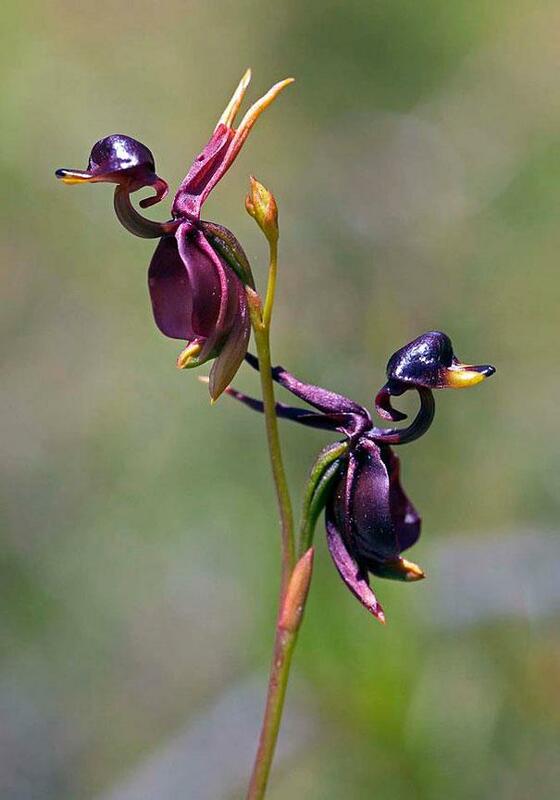 There are numerous native orchid plants and each can require different growing mediums. The right potting medium for your native orchid might need to be discussed with other local growers. Because of the nature of the flowering, the plant should not be potted or repotted in anything other than a basket. The basket should be lined with either bark, coconut fibres or something that allows the flower to penetrate out from the bottom of the basket. In regards to the fibre, a caution is issued as some fibre material have been treated and will do harm to the plant. I use paperbark because it is easily obtained from nearby paperbark tree. The plants like to be grown in either sphagnum, moss or a cymbidium mixes." Please give us your email address, especially if you would like us to reply to you personally. Tell us as briefly as possible what you need help with. You may add a picture if this will help. Download a picture from your computer if you like. You may upload a photo of your gardening issue if required. Do you have a gardening issue that you would like help with ? Identification of plant or weed ? Tips for growing particular species. How to propagate new plants from those in your garden. How to eradicate a particular weed. Send in your question and other members will endeavour to assist you.